What is the best time to visit Disneyland? What should we pack? What is the FASTPASS® and how to use it? What do we see and do first? Are there any Special Shows? Where are the Disneyland Characters? Are there any special accommodations for people with disabilities? Can I have my Birthday Party at Disneyland? These are just a few of the questions that you may be asking when thinking of planning your family dream vacation to Disneyland. 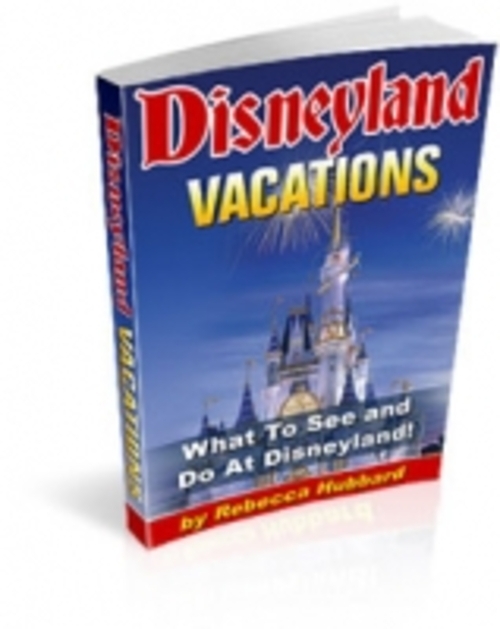 With so much to see and do at Disneyland, it only makes sense to plan and prepare well for the trip so that when your family arrives in sunny Anaheim, California - the entire family will be able to enjoy every minute of your stay there. If you plan and prepare well for your trip, you will be spending your time at a more relaxed pace, in a more organized manner and you wont miss anything important, plus your entire family would be having all the fun that you should have. * When Is the Best Time to be at Disneyland? * Where Are the Disneyland Characters?